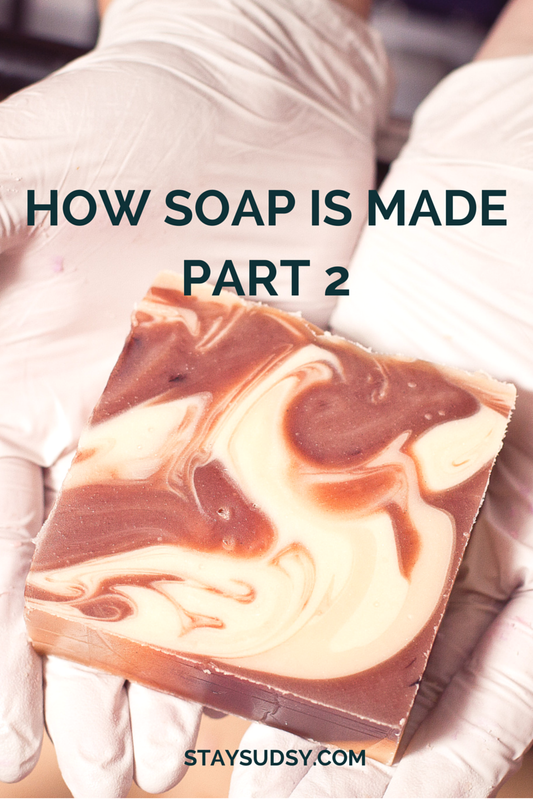 Just starting out on our How Soap is Made series? Check out part 1 here. This method involves using pre-made soap (cold or hot processed). The biggest draw for soap makers to use this method is that they can buy pre-made soap for rebatching and do not have to come into contact with lye if that’s a concern for them. The lye has already been chemically transformed during saponification. It also means they can add additional ingredients such as essential oils or herbs and not have to worry about them reacting with lye. To rebatch soap, the pre-made soap is grated like cheese and to this a small amount of liquid is added. The mixture is gently heated until melted and then pressed into molds. It must then cool and harden before it is suitable for use. This process involves purchasing a premade glycerin soap base (or making a glycerin soap base on your own, which is much less common, but possible), and melting it down, often in a microwave or on a stovetop. At that point, colorants, fragrance and possibly some additional oils (no water or milk can be added) are added to the melted soap base. The mixture is then poured into molds and left to harden – usually just a few hours. At that point, the hardened soaps can be removed from the mold and are ready for immediate use. Some soap makers prefer using this method because the chemical process has already been done, so they don’t have to worry about using lye. Melt and pour soaps are also fluid enough to be poured into a variety of molds which results in more intricate designs and shapes compared to the other types of soap making. That's it! You can't get true soap any other way. Next time you are shopping for soap, be sure to ask with method the shop uses.